As a runner and being active, staying hydrated is crucial to your performance, training and well-being. Between a busy lifestyle and the quick availability of sweet and fizzy beverage options, getting enough water each day isn’t always easy; but it is important. During the day I can go hours without drinking anything, including my beverage of choice...coffee. Finally it caught up with me during a race when severe muscle cramps and other issues set in and landed me in the doctor's office. Experts in fields from beauty to medicine agree that hydration’s role in proper physical function cannot be overstated. According to the Mayo Clinic, your daily activities, such as breathing and sweating, deplete your hydration, making a fluid intake of 13 cups for men and 9 cups for women crucial—more if you are exercising or live in a hot climate. Not in the habit of drinking enough? With a custom glass water bottle and your favorite sweet essential oils, you’ll love meeting your daily goal! 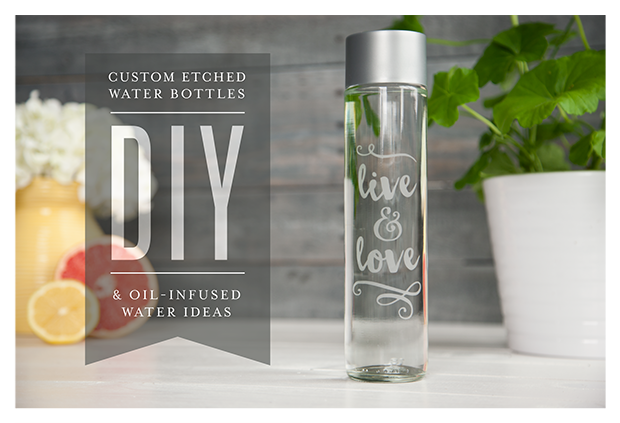 Check out our fun, easy DIY instructions below for etching a personalized design on your water bottle. Almost all of the necessary supplies should be available at your local crafts store. 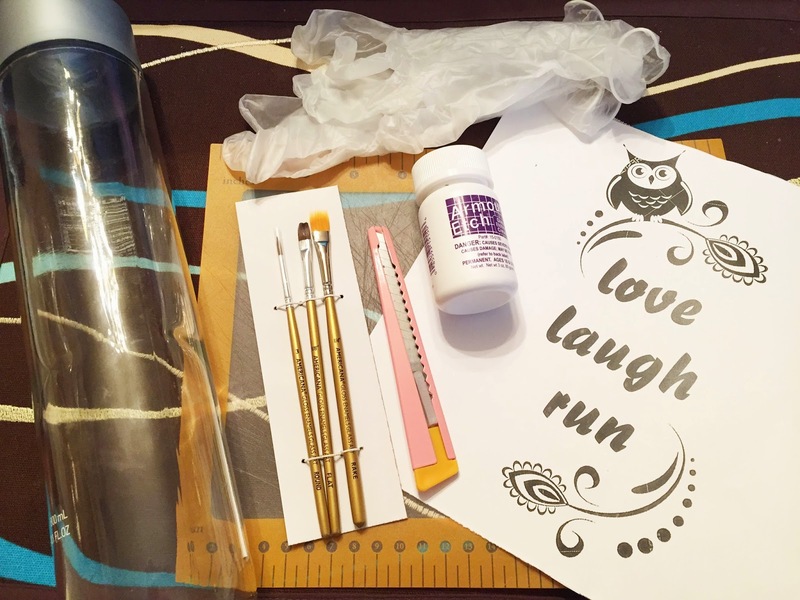 Adhesive stencils: Find alphabet and decorative designs at craft stores or create your own design using clear laminate paper and a trimming knife or vinyl cutter. 2. Wash and dry your water bottle; then wipe it thoroughly with rubbing alcohol. 3. Carefully place your adhesive stencil designs, making sure to smooth out any air pockets. 4. If desired, use painter’s tape to line the edges of your stencil and cover any areas you don’t want frosted. 5. Shake the etching cream to combine contents and pour some onto a disposable plate. 6. Wearing gloves and using your brush or sponge, apply a smooth, thick layer of etching cream to the stenciled area. 7. Let sit for 5–15 minutes, following the manufacturer’s instructions. 8. Rinse off the etching cream with water in a stainless steel sink, using the brush to remove excess etching cream. Be sure not to use a porcelain sink. 9. Remove stencils and dry with a cotton ball. Wash the bottle with soap and water before use. A glass bottle allows you to add your favorite essential oil for an even more flavorful kick. My favorite is 2 drops of lemon essential oil and 1 drop of peppermint essential oil. 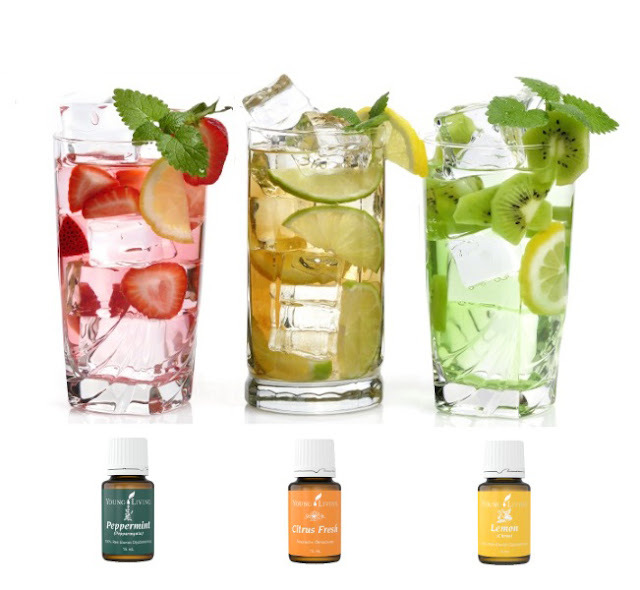 Check out how to get your own essential oil kit to start adding flavor to your water and find out about all the great benefits of using essential oils to support your wellness by clicking here! What creative ways do you ensure you’re drinking enough water? Share your ideas in the comments! AND SO MUCH MORE! CLICK FOR DETAILS! Disclaimer: As always, my thoughts and opinions are all my own and through my own experience. These statements have not been evaluated by the Food and Drug Administration (FDA). These products are not intended to diagnose, treat, cure, or prevent any disease. The information on this site is not intended or implied to be a substitute for professional medical advice, diagnosis or treatment. Please confirm any information obtained from or through this web site with other sources, and review all information regarding any medical condition or treatment with your physician. Never disregard professional medical advice or delay seeking medical treatment because of something you have read on this website. This is really cool! I found you from Blogelina. 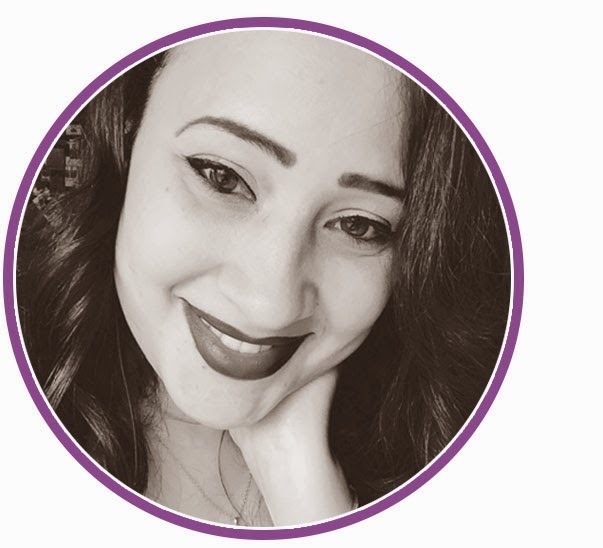 I blog at Daily Momtivity. Stopping to say hi! I absolutely love this idea! So cute. Thanks for coming by and taking the time to read my posts! Please share with your friends and family! Stay tuned for more! As a working mom and wife, sometimes it seems like there are not enough hours in the day to get everything done! 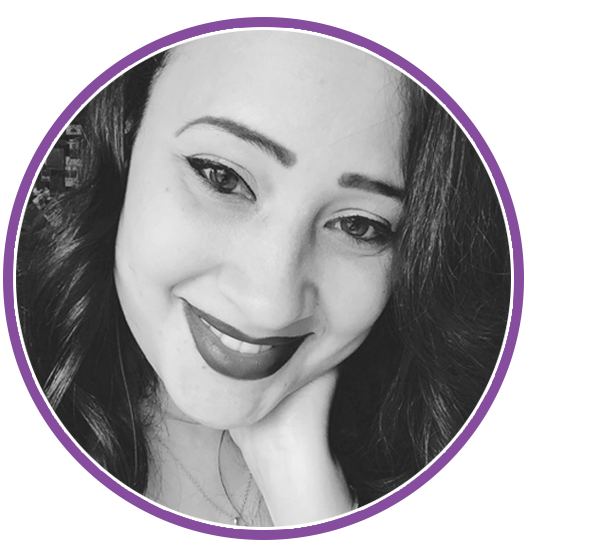 Follow me on my journey to a healthier me as I share my experience along with tips and tricks of a busy mom.